My name is Made Up Maiden, and I'm guest-blogging on Beauty in a Bottle's blog today! I usually write over here, but Beauty in a Bottle and I decided to do a blog swap to cover some topics that we might not be personally familiar with, and hopefully, also increase our reader base by introducing our regular readers to a new blog! Now, I've decided to blog today about the pros and cons of Keratin treatments, also known as Brazilian Smoothing Treatments. As many of you are undoubtedly familiar with, the keratin treatment is a temporary smoothing treatment that works by sealing liquid keratin protein and a 'fixing' or preservative agent into the hair, using a hot straightening iron. Now, I say 'temporary' because it's only supposed to last approximately 2-3 months; much like filling up your car's fuel tank with petrol, it will eventually run out and need replenishment. Nevertheless, from personal experience, I will say that the effects do last longer with proper care (i.e. using the recommended shampoos and conditioners), and with each successive treatment, you'll find that the effects last longer between treatments. If your hair fits the following description (dry, frizzy, damaged, coloured, exceptionally curly, coarse or all of the above), then this is the treatment for you!! The keratin treatments don't work as well on virgin, untreated hair, as the hair strand isn't as porous as with treated hair. While the treatment techniques do differ with each different brand of keratin treatment, the gist of it is your hair is usually washed with a clarifying shampoo to remove oils and product build up. Then, your hair is towelled dry, the treatment is applied using a brush (or in some cases, a spray bottle) and the product is then dried into your hair using a hairdryer. Don't panic if you see lots of smoke at this point, as it's really just the product being evaporated from your hair. Lastly, each section of hair is then straightened with a special flat iron (each brand of treatment requires different heat levels, but they start from 350 degrees and higher). It's best to iron thin sections of hair at a time, with the thinner sections providing a better result than thicker sections. Depending on the brand of treatment used, you may have to either wait 2-3 days after application before washing your hair (like with Global Keratin, GK) or you might be able to wash it out straight away and see immediate results (like with Brasil Cacau, BC, or the Brazilian Blowout). Here are the pros and cons from my research and personal experience. I first tried the treatment almost 2 years ago, when my hair was exceptionally weather damaged from working outdoors. My hair is naturally wavy, thick, coloured and fairly coarse, and the treatment made it smooth, silky, frizz-free and really quick to dry. All I had to do was point my hairdryer at it for about 5 minutes to dry off and I was free to walk out with dry, silky hair. The only downside was I had to wait 2 days to wash it (I used the Global Keratin the first few times), during which I couldn't use clips, tie my hair or even tuck it behind my ears, even when it started to look a bit lank and oily. You also have to maintain the treatment with keratin infused shampoos and conditioners (which can cost a bit at approximately $35 each), and you need to shampoo twice every time to get the sulphate-free shampoos to lather up properly. Depending on how curly your hair is, you might also lose a bit of the curl, with post-treatment results varying from straight - wavy hair, depending on the hair type. Therefore, if you love your curly hair, this treatment might not be the best option for you. If you're fond of swimming, you'll have to take precautions before going swimming, as the chlorine and sea water can affect the lifespan of the treatment. Keratin treatments earned a bad reputation when some brands were recalled due to formaldehyde content above national regulations. However, that was quite some time ago and the companies have been really good about meeting health and safety standards, so just do a bit of research into the brand you're looking at before getting the treatment done. Last but not least, it can be quite expensive to do (some places have quoted me approximately $350 for my length, which is just about halfway down my back), but it does depend on hair length so it could be much cheaper. The benefits are obvious, of course, you can literally just leave your hair to dry naturally, and get frizz-free, soft waves. You can style your hair much quicker using a hairdryer, as hair dries much quicker, and the shampoo and conditioners generally smell amazing (my favourites are the GK range which smell like coconut). Your hair will not only feel better but it will look better and be much healthier, so if you've been trying to grow your hair out without much luck, this might really help you out. It's also really easy to do curls or straight styles using a flat iron, so don't think you'll have to live with straight hair for the duration. And if you're worried about the cost (I can't justify spending $350 every 5 months either), then I suggest using a voucher from a group buying website (like Spreets, Scoopon or Groupon Australia) which can cut the cost down to approximately $120 on average. My advice is to always do a bit of research, google the salon, speak to the staff to ensure they're qualified, and see if you can read any reviews prior to purchasing. Just make sure that the stylists are licensed to apply the treatment properly, and also do a bit of research into the keratin treatment brand to make sure it's in compliance with national health and safety regulations.Think of it this way, buying a voucher is an excellent, cost effective way of trying a new salon, and if you like it, you can always decide to frequent them again. Essentially, I've had the treatment done about 5 times in the past 2 years, which amounts to approximately once every five months or so. The last time I had it done was 3 months ago, when I tried the BC treatment, and I have included photos to show you. The first was taken right after I'd had the treatment done, and the second photo was just taken last week. As you can see, the treatment has lasted a fair while and it's been really heavenly not having to fuss too much with it. It's cut my drying time with a hairdryer from 30 minutes (I have really thick hair) down to literally 5 minutes. I especially loved this treatment as I didn't have to wait 2-3 days to wash my hair, it was rinsed in the salon and I could see the results immediately. I hope you enjoyed my review, I do apologise for the length of this post but I really wanted to give you all as much information as possible, not to mention my own personal experience with the treatment. If you have enjoyed reading this, do feel free to visit me at www.madeupmaiden.blogspot.com, as I'm always happy to welcome new readers! Have you tried the keratin treatment? Do you want to? I love guest blogs! This is a great review :) Nice results! Keratin Infused Products provides Healthy Hair and most of all keratin treatment is useful for Frizzy, Brown, colored, wavy/curly, unmanageable hairs.No doubt keratin treatment Services has been created revolution and transformation in this world but please prefer formaldehyde free Keratin Treatment. thanks Lasio for providing Keratin Infused Products and really No doubt keratin treatment Services has been created revolution and transformation in this world.Any how a good blog by bottled beauty. Great Post! 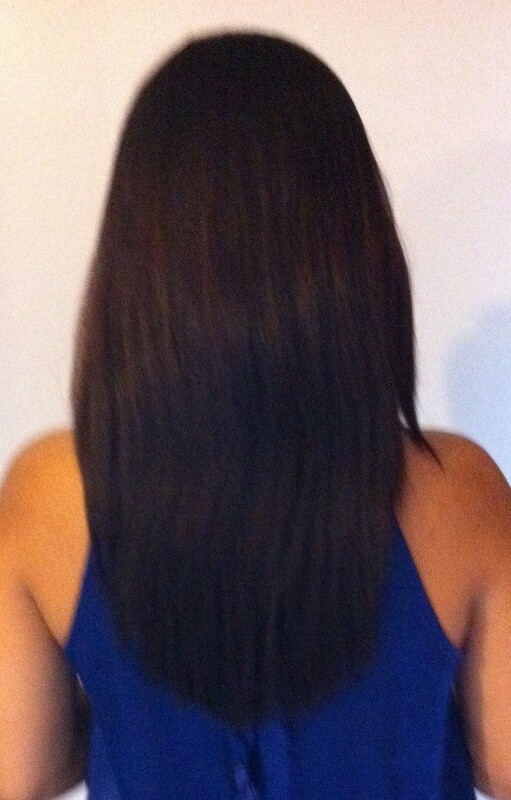 Keratin treatment smooths out your curls and eliminates frizz by depositing Keratin on your hair. 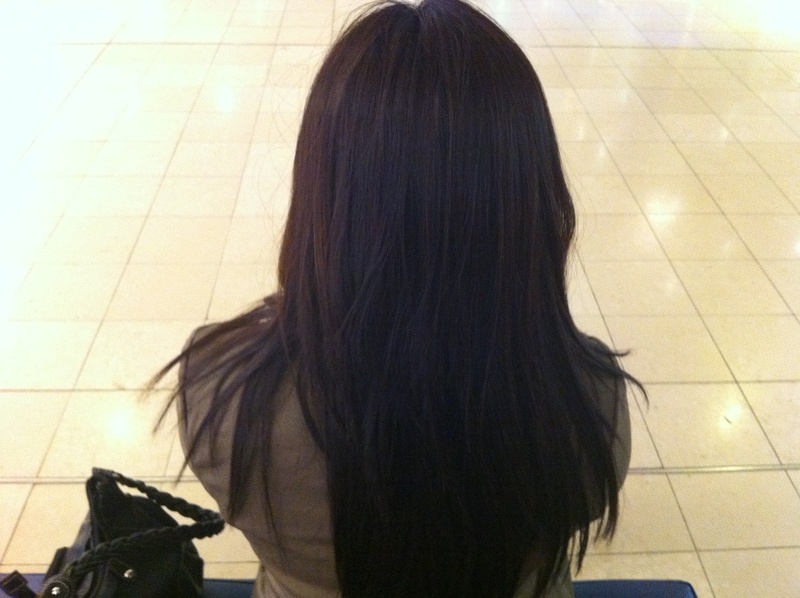 But many people are not aware about what is keratin hair treatment. It's just a great way to straight hair.